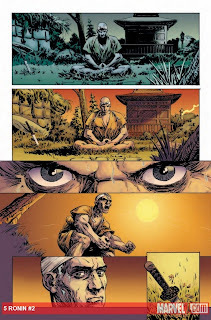 The Newest Rant: Mini-Run Review: 5 Ronin #2-#5. I already discussed the first issue of 5 Ronin (The Wolverine-focused one) and figured it would make sense to do a post about the rest of the comics--especially because I discuss them in today's podcast, which if you have already listened to you know I don't much care for these. The problem with this series isn't that this takes place out of continuity or anything like that--I love alternate-universe tales. No, the issue is that the stories are just kind of lame. Everyone is tied together by a Daimyo they want dead...wait scratch that--one of the characters in the story doesn't even really want him dead making that character (The Hulk) even less needed. 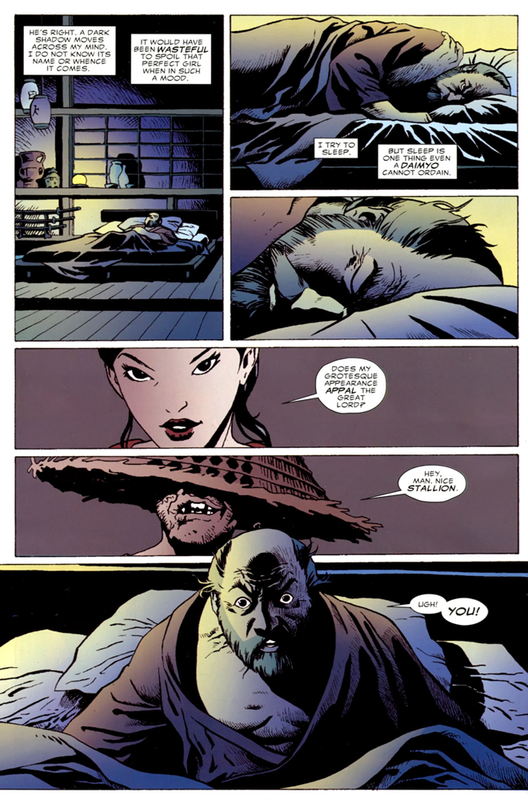 While the Punisher may have a reason to want the Daimyo dead he barely appears outside his comic so he is pretty unnecessary too. No, the main characters are arguably Wolverine, Psylocke, and Deadpool--with Deadpool appearing briefly in the first four comics and featuring heavily in the fifth. Even then, only Wolverine and Deadpool are really important, making some of the issues of this series quite redundant. The art is decent, changing book to book with no artist really standing out much in issues #2-#5. I did notice after-the-fact that Goran Parlov illustrated #4, the Psylocke issue, which I didn't realize at first because his work on Punisher-related comics has usually be very dark and this comic has such bright coloring to go along with the butterfly theme. Still, decent art with a dull story does not a good comic make. some of the issues are better than others, but the comic just seems to peter out at the end, making me wonder what the point of this whole exercise was. I mean yes, Marvel superheroes in Feudal Japan, but what else was there to it? I guess nothing much. Peter Milligan can turn in some great stuff, but here he was just really off his game.